Do you have questions or want to meet the Catholic Charities Junior Board? Then you're in luck! Come to our Spring meeting to discover about our upcoming events and how you can join the team who support the St. Nicholas Project and our Federation of Agencies! The Catholic Charities Junior Board introduces young professionals (ages 21-40) to the works of Catholic Charities through volunteer opportunities, social gatherings, faith-based events, and philanthropic support. The Junior Board helps cultivate the next generation of leaders committed to Catholic Charities to serve those in need in our community. 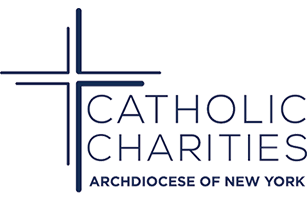 This is a great opportunity for you to meet the Executive Committee and find out how you can join in on the planning of events and learn the inner workings of Catholic Charities. Light Refreshments will be served. Join us for mass in St. John the Evangelist (348 E. 55st New York, NY) at 5:30 pm.